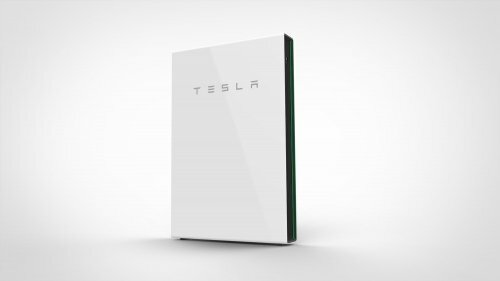 The Tesla Powerwall 2.0 is officially here and making an even bigger splash in the home energy market than its first-generation predecessor. It can be indoor/outdoor, wall or floor-mounted, holds 13.5 kWhs per battery, will power a continuous 5 kW of energy and surge to 7 kW, you can stack NINE batteries per inverter … plus it’s really sleek and cool. With the Tesla Powerwall 2.0, you can protect against power outages. By combining your solar energy system and the Tesla Powerwall 2.0, we can create a protected loads system in your home or business to protect against frequent or long-term power outages. Your protected loads panel might include the refrigerator, lights, or garage door – all of which you definitely wouldn’t want to be without. In the event of a power outage, all the devices listed in the protected loads panel will be supported by the Powerwall 2.0 and function without interruption. Additionally, as the sun rises, your solar energy system will begin to supply energy to those devices and recharge your Powerwall 2.0 for the coming evening’s energy needs. This cycle will repeat itself for as long as the power is interrupted. Once grid power is restored, your system will go back to the normal functions of offsetting your electrical use and lowering – or eliminating – your power bill. While there is currently a backlog in production, the Powerwall 2.0 is available to order now, with delivery expected within 3-4 months. If you would like to secure your Powerwall 2.0, we can place an order for you with no money down; payment would be due once the battery is (or batteries are) shipped. Call Brilliant Harvest to learn more today.